Ask About Our Pet Wellness Programs! At Manteca Veterinary we know that your pets are family! Our veterinarians are professional, experienced, and caring. We offer a wide range of services for dogs and cats. Are you worried about an aging pet? Let us create a pet wellness program for your older dog or cat! In addition to general medicine, we also offer dentistry services. Let us clean your dog's teeth and gums to ensure total body health and a long life! 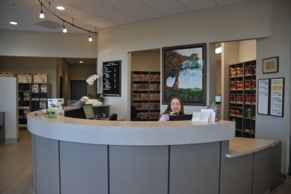 For more serious matters, we are able to offer surgery in our office clinic. Did you know that Manteca Veterinary offers grooming services? Leave your furry family member with us for a sudsy bath and fresh haircut! Our veterinary hospital was just remodeled into a state-of-the-art facility. Stop by and see us! Call (209) 456-5474 and schedule your appointment today! Call Us for Info on Our Pet Grooming Services! **Saturday hours by appointment only. Copyright © 2018 forpetcare.biz All rights reserved.